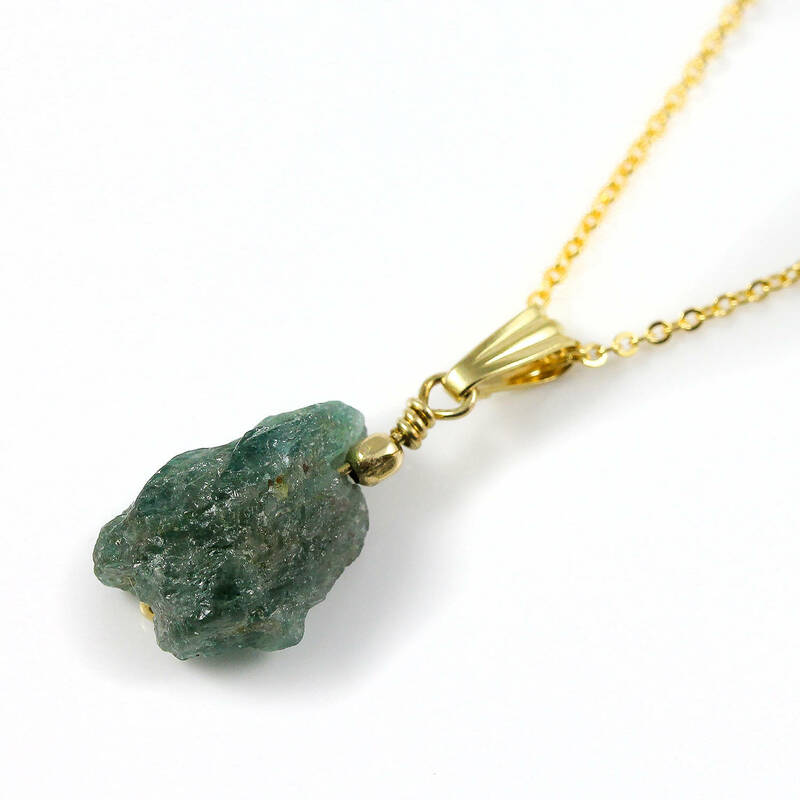 Irregularly shaped rough Apatite stone is hanging from cable chain through wire-wrapping and bail all in 14K Golf Filled material. 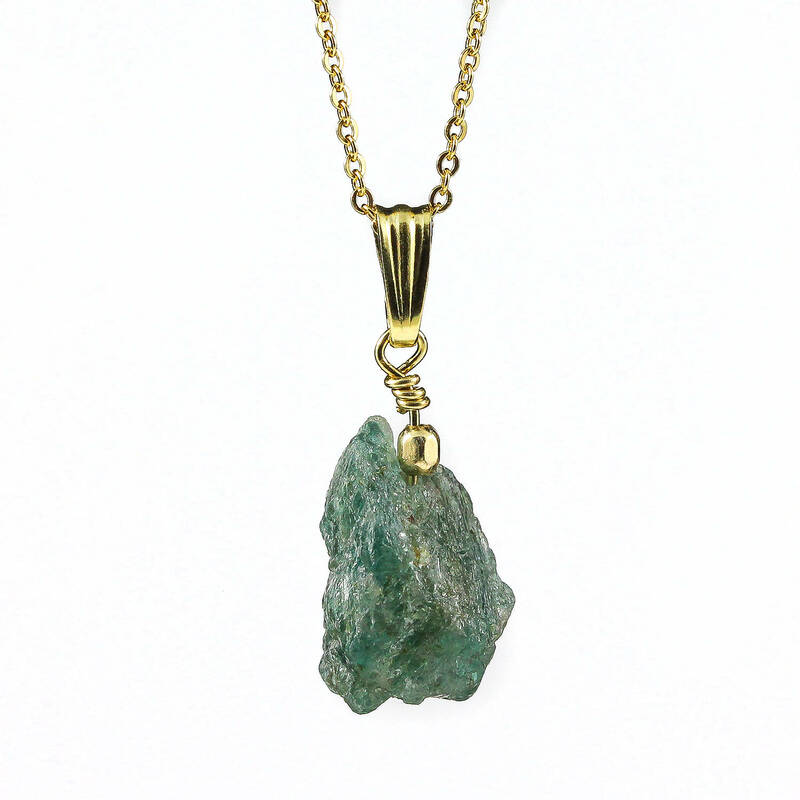 The stone’s uneven shape makes this necklace one-of-a-kind. 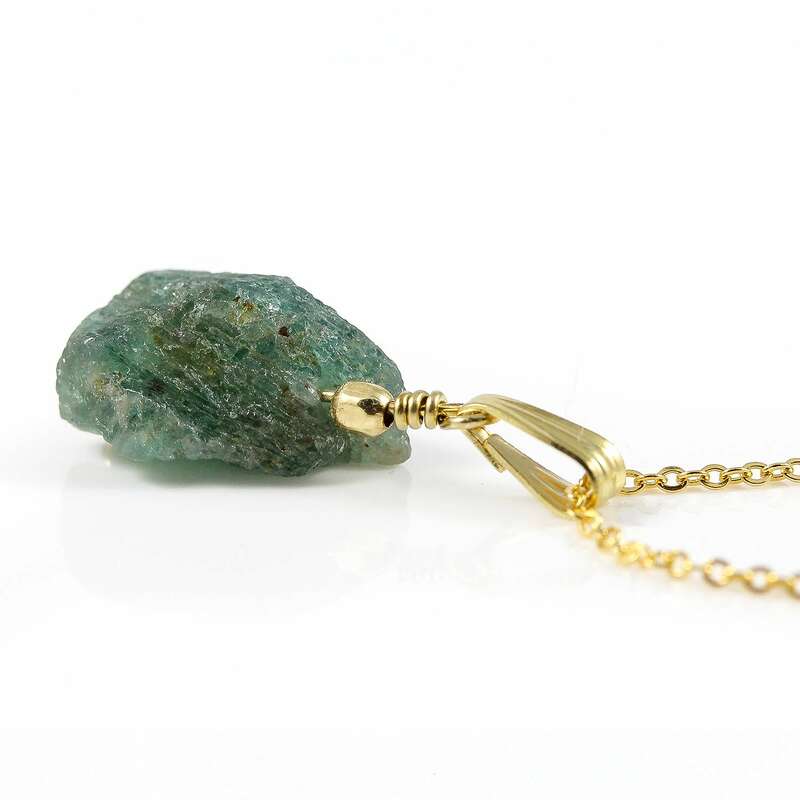 This beautiful emerald green stone measures approximately 15 x 12 mm and has flat shape. 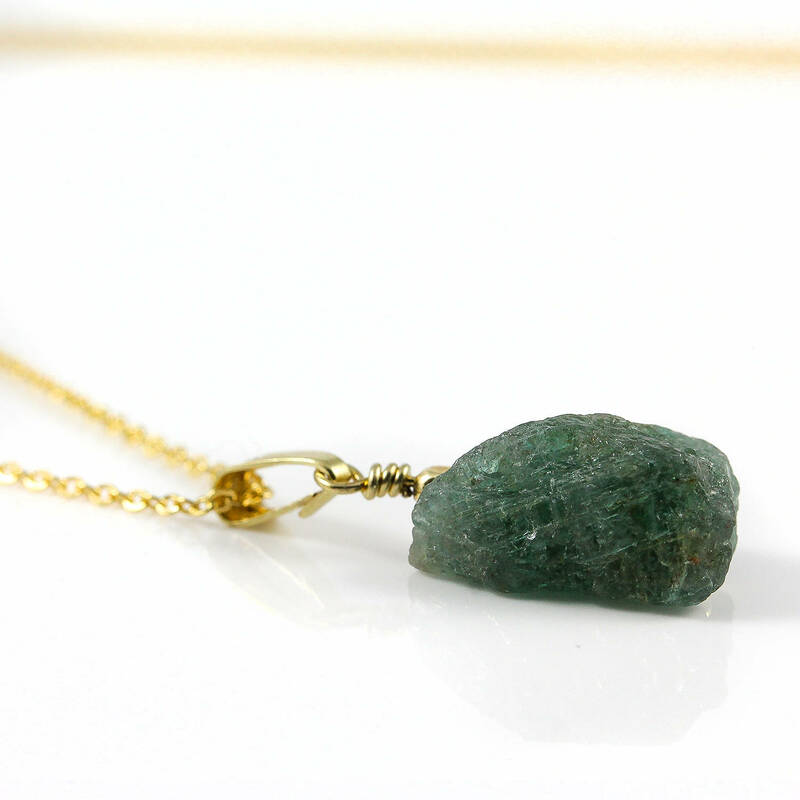 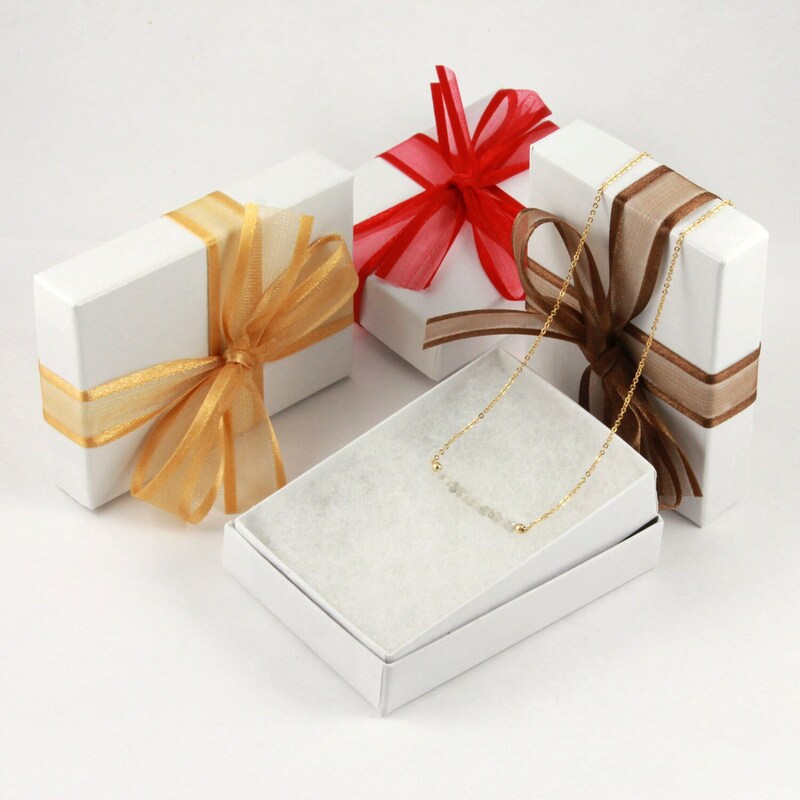 Since the stone is natural and rough, its size, shape and color may vary.